We work with the following partners to help evaluate your requirements, implement and then support IntelliPERMIT in your business. REMSAFE remote isolation systems operate electrical and mechanical isolators simultaneously in just seconds. The isolation is initiated in the field by the person doing the work, so no need for specialised skills such as an electrician or fitter to isolate. Multiple isolators can be controlled per single system, all locked out in the isolated state at a single lockout point at the job location. The system is safety rated and fully compliant to the relevant regulatory standards, industry safety organisations and company isolation requirements. The systems are easily adapted to your applications and will increase tool-time, productivity and safety, and decrease production costs. Solid Foundations Consulting specializes in project management, change management, business analysis, business process mapping and optimization. SFC applies this expertise in the implementation of solutions in the areas of occupational health and safety, incident management, risk management, access control and time and attendance, asset maintenance, and Enterprise Resource Planning systems. Our focus industries include mining and metals processing as well as food and beverage. 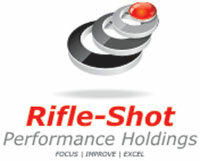 Rifle-Shot Performance Holdings, established in 2001, is a business consulting, distributor, reseller and implementer of leading operational management software systems for large and medium businesses. 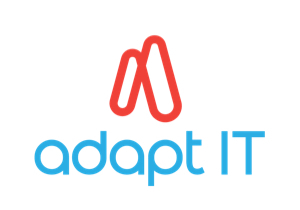 But more than that, it is a software vendor with a real difference. We work to enable our customers to see what they confront now, on this day, and what is coming and not just what they would have seen if it were last week or last month. We accomplish this by blending superior management consulting using subject matter experts with high value add niche software products and its unique and engaging project methodology. (Business Alignment & Growth), to effect exceptional operational performance in and with our customers.